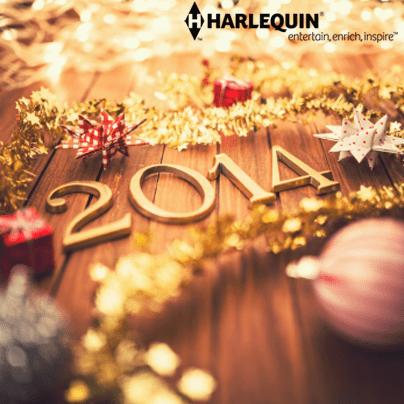 2014 Reading Goals and Challenges Continued! So I may or may not have forgotten a few things when I made that late night post the other day about my goals and challenges. I woke up this morning realizing that I forgot to mention my biggest reading goal of the year. Then after perusing other blogs and their reading resolutions I remembered more that I had forgotten. I should really start writing these things down so I don’t forget >> I also forgot to mention a third reading challenge that I want to participate in. So without further ado, here are my reading goals and challenges continued! The third reading challenge I will participate is the Book Genre Challenge. It is hosted by eternal-books on tumblr. The point of this challenge is to expand on the type of genres you read. I really only tend to read fantasy/paranormal novels. Last year I expanded a little into dystopia and horror with a dash of mystery. But I do want to explore other genres. Maybe I’ll find something I like that I wasn’t expecting. Each month there will be a specified genre and the goal is to read a novel in that genre. I’ll post the list of genres onto my 2014 reading challenges page. As for my reading goals (I say goals because I feel less pressured than if I had said they were my resolutions) I have a few more to add. To help me keep track I found these colorful calendars that you can print out called Don’t Break the Chain. 1. Read My Books – I mentioned yesterday how I have a buttload of books that I own and haven’t read. So this is my first big goal. Having a library that’s closed for an undetermined amount of time can really help with that. 2. Read Review Books – I have a list of books that I got through LibraryThing for free in exchange for reviews and a few that were requested by authors/publishers to be reviewed. I stopped taking requests last year because I wasn’t reading these books and the list just kept getting longer and longer. So my goal is to read all these books this year. I feel bad for having these books and not keeping up my end of the bargain so I will read and review them! 3. Read Everyday – This one I really hope to stick to. Since graduating from college and starting at two jobs part time I found myself not reading for extended periods of time. There were times when I went two weeks without reading! I don’t want to do that again. My goal is to read every day. Even if it is only for 5 minutes I will read. Every. Single. Day. 4. DNF Reviews – I won’t be afraid to not finish a book. Life is too short and there are way too many books I want to read. 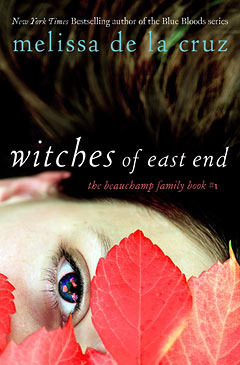 I will try to post DNF reviews to explain why I didn’t finish a book. Whether it be because I didn’t like it or I just wasn’t in the mood. I hope you all had a great 2013 and I look forward to a wonderful 2014 with all of you. 🙂 I read a total of 57 books last year and 51 of those went towards my 50 Book Challenge (I only counted books/short stories that were at least 100 pages). For this year I’m definitely going to join in the 50 book challenge again but I think I’ll challenge myself to read 65 books. I think I can manage that …. maybe… I hope. I’m also joining Bookish in the TBR Pile Reading Challenge. I have so many books that I own and haven’t read. I think of the physical books I’ve read many 1/10th and I own more than 300 ebooks I have yet to read. So I want to really focus on books I’ve purchased before today. I’m going for the 41-50 Could This be Love? level. To help I’ve written a list of books I want to read. But I’m a big mood reader so I probably won’t stay with it. I also plan to use my TBR Book Jars and pick out a random read each month in both physical and ebook to keep things interesting. Happy New Years and may this year be great for all of us! So I’ve seen many blogging friends (aka people I follow and occasionally talk to) move onto booktube. I’ve always been curious by vlogging and wanted to try it out. My question for those of you that have a booktube vlog: Would you recommend it? Do you enjoy making videos as well as keeping an online blog (if you do)? What kind of advice would you give me? I just wanted to say sorry for the two week hiatus. I went off to vacation with family and haven’t had much computer time. I have been reading and have a few reviews lined up for when I get back home. I’ve written them down on paper, I just need to tweak them and then post. So be on the look out for that! As per my usual book buying problem, I went and bought a couple books while on vacation as well as been given some by friends. 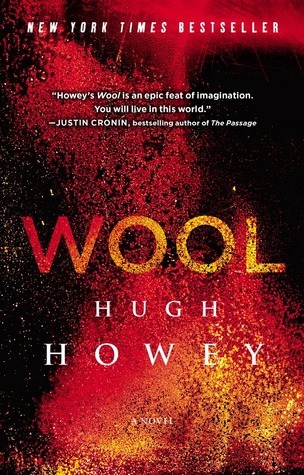 I bought Cinder by Melissa Meyer and Wool by Hugh Howey. My grandfather gave me Sitka by Louis L’amour and my friend gave me a book that I don’t remember and am too lazy to go find it. I am all moved in a slowly unpacking. I haven’t unpacked any books yet though because I want to get a new bookshelf which I will acquire soon hopefully. I am also without internet for the most part which is why I’ve been quiet for so long. I’m still reading and shall have a couple more reviews written and ready to post when I get internet. I’m hoping it will be tomorrow but who knows.